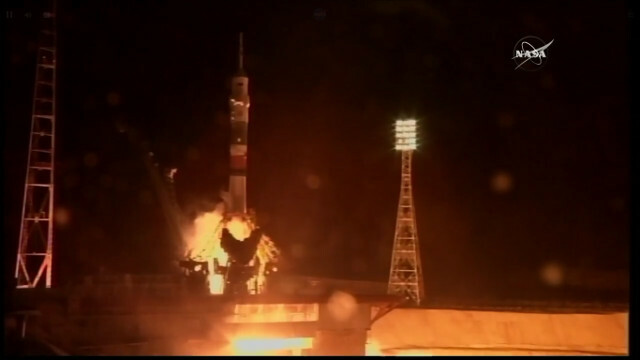 A little while ago the Soyuz MS-08 spacecraft blasted off from the Baikonur Cosmodrome in Kazakhstan with aboard three new crew members to be transported to the International Space Station carrying three new crew members. The Soyuz traveled on the 2-day path. Andrew Jay “Drew” Feustel. Born on August 25, 1965 in Lancaster, Pennsylvania, USA, he graduated from Purdue University with a bachelor of science in 1989 and a master in geophysics in 1991. In 1995 he earned a PhD in geological sciences at Queen’s University in Ontario. After working as a geologist for a few years, in 2000 he was selected as an astronaut candidate by NASA. In 2006 he was part of the crew of the NEEMO 10 submarine mission, which lasted 7 days. In 2009 he was part of the crew of the Space Shuttle Atlantis in the STS-125 mission and carried out three spacewalks in maintenance operations of the Hubble Space Telescope. In 2011 he was part of the crew of the Space Shuttle Endeavor in the STS-134 mission and carried out three more spacewalks. Oleg Artemyev. Born on December 28, 1970 in Riga, in the then USSR and today Latvia, he graduated from the Tallinn Polytechnic School in 1990 and graduated from the Moscow Bauman Technical University in 1998 in low-temperature physics and technology. Until 2011 he worked at Energia Rocket Space Corporation. In 2003 he was selected as a cosmonaut candidate and started space training. In 2007, he participated in some test phases of the Mars-500 mission, an experiment that was intended to simulate a mission to Mars. It’s his first experience in space. 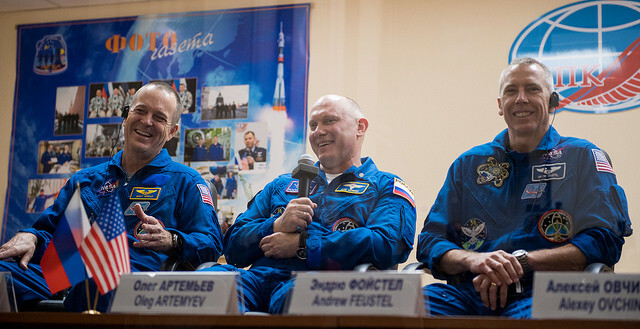 He already served on the International Space Station as part of Expedition 39/40 starting from March 27, 2014. Richard Robert “Ricky” Arnold II. Born November 26, 1963 in Cheverly, Maryland, USA, he earned a degree in accounting at the Frostburg State University in 1985 and a master in Marine, Estuarine, & Environmental Sciences at the University of Maryland in 1992. For a number of years he worked in the oceanography field and as a teacher. In 2004 he was selected as an astronaut candidate by NASA. In 2007 he was part of the crew of the NEEMO 13 submarine mission, which lasted 10 days. In 2009 he was part of the crew of the Space Shuttle Discovery in the STS-119 mission and carried out two spacewalks. The new crew members are scheduled to reach the International Space Station on Fireday at about 7:41 PM UTC. On the International Space Station, they will carry out routine maintenance, a long series of scientific experiments and manage the arrival and the departure of various spacecraft.